We&apos;re on the hunt for the perfect climate control setup for the CNET Smart Home. If that sounds familiar, it&apos;s because we&apos;ve been down this road before. We&apos;ve been making our living lab in Louisville, Kentucky smarter piece by piece since September of last year, and in October, Megan Wollerton tackled the thermostat. At the time, she picked the Nest 3.0 for our smart-home setup because it looked great, worked well, and was the most well-rounded option available at the time. She mentioned, though, that Nest wasn&apos;t perfect; that the competition, particularly the Ecobee3 Wi-Fi Smart Thermostat, was catching up; and that we might have to revisit this decision at some point in the future. That time is now. This week, we&apos;re swapping out the Nest for the Ecobee3 in the CNET Smart Home. The Ecobee3 has made great strides in interoperability, and once it added native integration with the Amazon Echo -- a Wi-Fi connected speaker with always-listening voice control -- it fit better with the direction we&apos;re moving in the CNET Smart Home. The shift is meant more as a compliment to Ecobee than a slight to Nest. 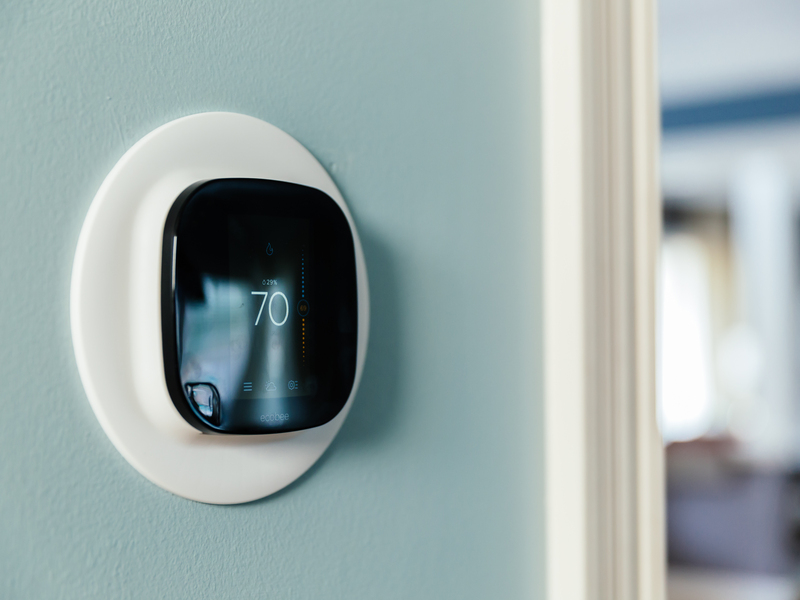 The Nest Learning Thermostat is still a great product that will be a great fit for many homeowners. Sure, we&apos;re kind of breaking up with Nest, but it&apos;s not Nest, it&apos;s us. The Amazon Echo has slowly made itself a centerpiece in our setup, and last week, when CNET Editor Ry Crist connected it to every light in the house, he cemented the Echo in that center spot. By saying the trigger word, anyone can easily use their voice to command the Echo&apos;s growing list of compatible smart home products. It&apos;s a much easier approach than setting up multiple users to access the lights via many different smart home apps, as we learned from experience. Given the Echo&apos;s increasing role in our Smart Home, its native integration with Ecobee makes a big difference, enough that it made sense to take another look at our installed thermostats to see if the switch made sense. The Ecobee3 and the Nest Learning Thermostat both cost $250 (£155, AU$285), both have iOS and Android apps, and both apps let you change the temperature remotely, set schedules, choose temperature preferences, and the like. As far as the basics are concerned, the contest is a tie. As far as advanced smarts, Nest and Ecobee take different paths. The Nest Learning Thermostat lives up to its name by gradually learning your schedule and habits, and then anticipating them and adjusting itself for you over time. The Ecobee thermostat doesn&apos;t adjust your schedule automatically in the same way. 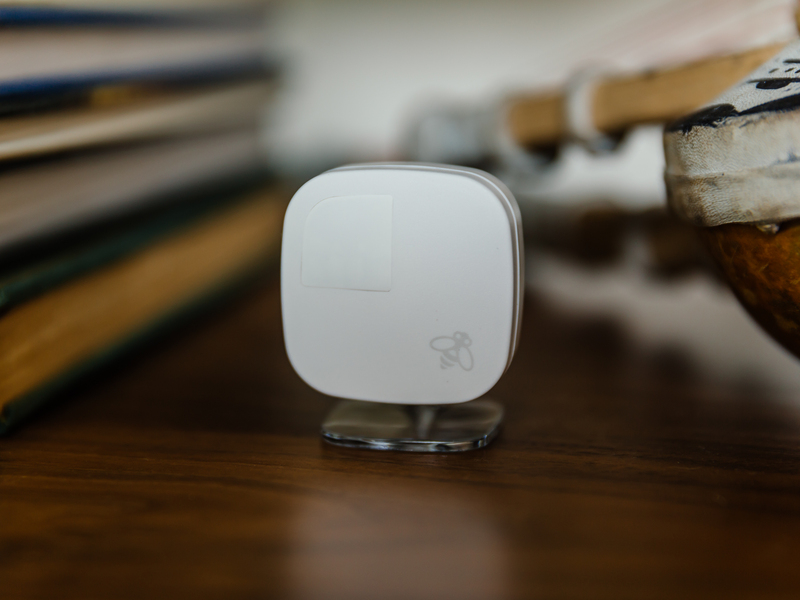 It does include a remote sensor in the package, with the option of adding more sensors to the system. Via motion and temperature detection, the sensor helps the thermostat accurately know when you&apos;re home, even if you don&apos;t pass by it in the hallway, and will adjust home and away preferences accordingly. As for voice control, because of the direct integration between the Echo and Ecobee, you can simply say, "Alexa, turn the thermostat to 71 degrees," or "Alexa, turn the temperature down two degrees." The Echo and Ecobee integration is almost seamless, though you can&apos;t ask Echo for current temperature readings from the Ecobee or for the Ecobee&apos;s current set temp. The Nest isn&apos;t without options for voice control. You can use the voice assistant in your Android phone, but that doesn&apos;t solve the problem for multiple users. You can even use Nest with the Amazon Echo, but because you have to use the third-party rule-making platform IFTTT to connect the two, the process is far from intuitive. Check out the video above to see how much of a pain it can be. The Amazon Echo app also comes with skills. Basically apps inside of the Echo, you can ask Alexa to activate a skill, then give voice commands for various functions within that skill. Via a couple of third-party skills, you can circumvent IFTTT for Nest controls. We tried out one such skill -- Reflect Connect -- and it worked pretty well, but it&apos;s still not as intuitive as Ecobee&apos;s native integration. In the CNET Smart Home, we have thermostats in a hallway on the main floor and on the second floor, just inside the entrance of the master bedroom. We installed an Ecobee3 in both locations. Via the app, I set schedules for both, specifying temps for home, away and sleep. Then, I placed a remote sensor in both the living room and family room. Next, I turned on the "Smart home/away" and "follow me" features that make use of those sensors. Voice control through the Echo was a big part of the reason we made the switch, but with a home as big as the CNET Smart Home -- 5,800 square feet -- the sensors proved to be a useful advantage. The smart home/away feature makes alterations on the fly to your schedule if it&apos;s in away mode and the sensor picks up that you&apos;re there or vice versa. Nest does the same thing, but since your thermostat might be in a hallway removed from the home office where you spend hours every day working, it might think you&apos;re away when you&apos;re not. With Ecobee, you can put the sensor in your home office, and it&apos;ll have a better idea if you&apos;re home. The "follow me" feature allows Ecobee to more heavily weight the temperature reading of the sensors that detected motion more recently. Short of using smart vents, that&apos;s as close as you can get to intelligent room-by-room temperature control. Once the thermostats and the sensors were in place, I took advantage of Ecobee&apos;s other integrations to set up a couple of extra pieces of advanced functionality. The Ecobee3 works with HomeKit, so I can command it with Siri using my iPhone. The Ecobee3 also works with IFTTT, so I set up a few recipes telling the thermostat to switch to home mode when my phone entered the area. I also set up "good night" and "good morning" recipes. The first shuts off every light in the house and turns the temperature to my bed time comfort level when I say, "Alexa, trigger good night." The second turns on a few select lights and turns the temp back to home mode when I say, "Alexa, trigger good morning." Neither command is ideal. Again, I&apos;d like more intuitive, flexible phrasing to trigger scenes, but right now, the Echo doesn&apos;t offer any built-in scenes. You have to go through IFTTT for that. Neither Siri nor IFTTT do anything more via Ecobee than what Nest can do via its own IFTTT channel and the voice controls on an Android. I wish Ecobee&apos;s motion sensors would let you take it&apos;s IFTTT channel one step further -- turning on the lights in a room when the sensor detects occupancy, for example. But Ecobee doesn&apos;t have triggers for its sensors yet. You also can&apos;t do more advanced functionality such as switching to home or away mode natively through the Echo. We still haven&apos;t found the perfect solution for our smart-home thermostat with the Ecobee3. But because we can continue to add sensors to the system as we see fit, and because we can just say "Alexa, turn down the temperature two degrees," right now, it works well for the CNET Smart Home. And given the native integration between Echo and Ecobee, as the former grows its smart-home functionality, I&apos;d expect the latter to tag along for the ride. Together, that all makes the Ecobee3 the right choice for us now, and for the foreseeable future.